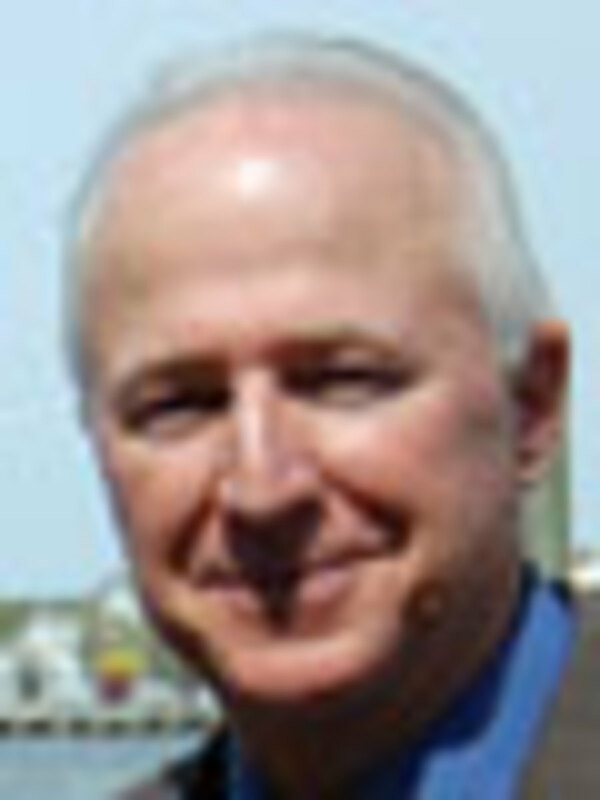 James Donofrio, 61, is the executive director and co-founder of the Recreational Fishing Alliance. Founded in 1996, the RFA is a national grassroots political action organization representing recreational fishermen and the recreational fishing industry on marine fisheries issues. Donofrio, a former charterboat captain, has more than 25 years of experience as a Coast Guard-licensed captain, fishing for everything from bluefish to giant bluefin tuna. 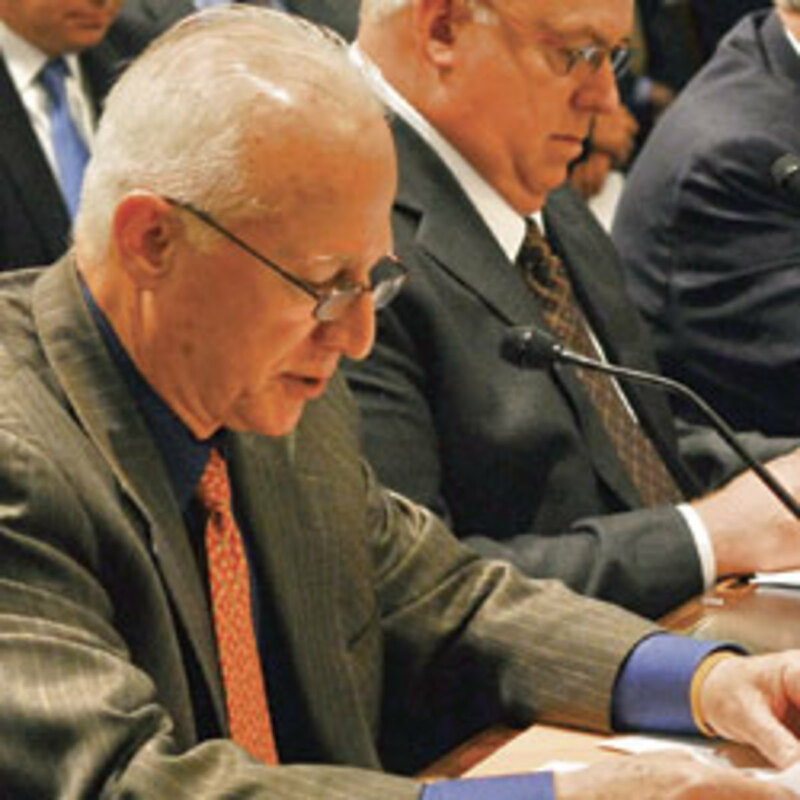 He holds a Coast Guard 100-ton master license and is a member of the International Commission for the Conservation of Atlantic Tunas’ advisory committee, the Highly Migratory Species Advisory Panel and the American League of Lobbyists. He attended Fairleigh Dickinson University and Bergen (N.J.) Community College. 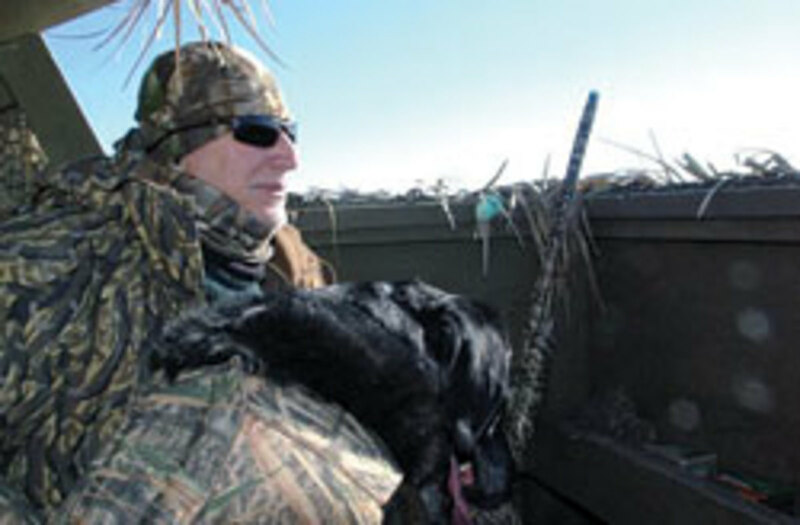 Donofrio lives in Tuckerton, N.J., with his Labrador retrievers, Pearl and Ruby. He enjoys duck hunting, fishing and working out. Q: Why should boaters and the recreational boating industry take an interest in the work of the Recreational Fishing Alliance? A: From our knowledge, we hear that anywhere between 60 and 70 percent of boaters fish. So our work to keep access for saltwater anglers to sustainable healthy fisheries and to protect their right to fish is important to [boaters] to protect their investment. Boaters spend a lot of money on their boats, on their equipment, on maintenance and to protect that investment. If they’re involved in fishing, a group like the RFA is in the forefront of protecting their right to stay on the water and to assure them some access to fish. Q: There’s been a lot in the news lately about quotas being set or expanded on certain fish in certain waters. Are we now seeing more of this than in the past, and why is it a concern? A: The National Marine Fisheries Service has actually done a horrible job of managing our fisheries. Their data is incomplete, it’s inaccurate and it’s being criticized by many members of Congress right now. So, yes, there’s concern. Fisheries right now are probably healthier than they were in the last 30 years. Over 80 percent of our fisheries are completely rebuilt where there’s no real biological overfishing occurring. Yet we don’t have full access to those stocks, and that’s hurting our industry because people are reluctant to buy new boats, new motors, new equipment because the feds have been so restrictive in letting us have access to the fisheries. It’s being driven by the extreme end of the environmental community. That’s the fight we have on our hands right now. Q: What about a reduction in the number of days in a certain fishing season? Is that a problem, too? A: It’s a huge problem. We’re seeing it especially right now in red snapper. Red snapper is very, very healthy, but according to the feds it’s not healthy. According to the environmentalists, it’s not healthy. If you’re literally tripping over fish on every piece of bottom where red snapper inhabit, then you know that there’s a problem with the science. The science does not match the amount of fish they’re seeing. In fact, the fishery just closed down (July 20) — a very short season. It’s hurting people. We’re hearing from people in Florida right now where they’re talking about shutting their doors down in the party- and charterboat industry, and the tackle stores — they just can’t do any more business. So this is again the fisheries service with a mandate from Congress. I don’t blame the fisheries service totally because they are the law enforcement agency. They’re enforcing the statute. What we have to do is we have to all get together and have [the Magnuson-Stevens] act fixed. But we don’t have a unified agreement among all the user groups. The law is broken; the data’s fatally flawed. We need to fix Magnuson. Other groups are saying just fix the data. You can have perfect data, perfect science and you still don’t have access to the stock. That’s because of the way Magnuson is written. You still can’t get full access because once the fishery is completely rebuilt, which we’ve seen with black sea bass, for instance, as soon as you start to fish you trigger an arbitrary overfishing definition and therefore you can’t go fishing on a healthy stock. So the law has got to be fixed. I believe our industry lacks leadership. The recreational fishing industry lacks real leadership. We have people that are more concerned with power, personal power, personal gain for their organizations rather than getting the job done and getting together in a unified voice and fixing the problem and getting us fishing again and getting the industry going again. Q: Where do things stand with Magnuson? A: There’s a few bills out there right now. There’s a bill by Rep. Rob Wittman (R-Va.), which will be a little amendment to it that will give a little help in certain areas. There’s another one that’s going to be introduced any day by Rep. Frank Pallone Jr. (D-N.J.) It’s his flexibility bill — it’s going to be very good. There’s a few bills that are coming out there. They all need to be looked at. I don’t think Magnuson needs a complete overhaul. We’ve just got to fix the areas which will allow us to have access to rebuilt stocks. That should be an easy lift, and that should be something that the whole industry should get behind because it’s not controversial. It will be controversial with the environmental people because they’ll say it’s not right. Their goal is to get us off the water. But I think everyone can agree that we deserve access to healthy, rebuilt stocks and we don’t have that right now. Q: In looking at the last few presidential administrations and their work in this area, how would you grade the Obama administration in comparison? A: The Obama administration is the worst ever. There’s never been anyone worse than Obama’s administration because he’s hired all the leadership from [the] Environmental Defense [Fund] to work in NOAA. The head of NOAA Fisheries, Jane Lubchenco, is EDF. His new secretary of commerce is EDF. It’s ridiculous. This president … he’s not my president. … He’s detrimental to the health of this nation. His fisheries policies are horrible. I always felt that Hillary Clinton would have done a better job than President Obama. That was one of the best administrations we ever worked with. The Clinton administration was awesome. We got more done during the Clinton administration, we had more access, we had more interaction with the deputy secretary of commerce at the time, Terry Garcia, who was wonderful, who was right in on our issues, who addressed the issues. Every time we had a problem we got things fixed with that administration. I’m a registered Republican and I loved Bill Clinton. He was great to work with. I met him twice; we worked with his office. I had dinner with Vice President Gore one night, a very small dinner with some members of Congress, friends of mine, and I told the vice president that we had a problem with the bluefin tuna fishery that the feds were going to shut down, and it was arbitrary in nature. The next day the vice president’s office called NOAA and they called me and said, your tuna fishery is open as of tomorrow. They were great to work with. Q: Do you think if a Republican wins the White House in 2012 it will make a big difference in fisheries policy? A: It depends. Let’s go back to George W. Bush. He started this problem with the environmental people. George Bush threw us to the wolves because he wanted to back off on the Clean Water Act, on the Clean Air Act, and he also wanted to back off on some of the drilling issues that were controversial, and because of that he gave EDF and [the Pew Environment Group] the fisheries. He said, here, back off of us and you can take the fisheries. And I know this for a fact from working the Hill. The first step was that big [marine sanctuary] that President Bush did in Hawaii — closing thousands of miles to boating, fishing and access under the guise of something good with the environmentalists. We said, why are we opening the door for these vast closures of the ocean, and their answer was it’s in such a remote area it doesn’t matter. It does matter. It matters on principle. If you’re against arbitrary closures, why would you allow one because it’s in a remote area? We don’t have any principled leadership anymore. We feel we’re the only group that does. And we’re not politically correct. And if you have principles you’re not going to be politically correct, and that’s the problem. Q: Last year you were involved in a rally in Washington, D.C., to call for an end to restrictive regulations for commercial and recreational fishing. Were you happy with the outcome and are there any plans to repeat the event? A: That was the largest rally ever held on fisheries. There were over 5,000 people there. We had groups from all over the country representing recreational — a lot of recreational party charterboat captains — and commercial fisherman. We have our differences with commercial fishermen, they know that — [but] when it comes to certain practices that they may be doing … that’s an issue you take up in the regulatory arena. When it comes to access to fisheries, every American, whether he’s a recreational or commercial [fisherman], deserves equal access under the law to our fisheries. That’s what we’re fighting for — equal access. We have one group — the environmental group, the extreme end — that’s trying to stop the access for both. So we have to fight together. We’re much stronger fighting together. [There are no plans] for another rally, no. We’re going to do, I would say, lobbying together on Capitol Hill. Q: Can you talk about the difficulties in balancing the rights of commercial fishermen and recreational fishermen? And when there’s a dispute, who usually comes out ahead? A: There is a bias toward commercial. NOAA and even members of Congress have a bias toward commercial because they see them as jobs, putting food on tables. Now we have for the last 15 years pointed out that we are an industry that has way more jobs, way more people and way more dollars. That doesn’t make us any more special, so we don’t take that elite view, but at least we want the recognition. Q: Let’s discuss California’s Marine Life Protection Act and the effect it will have on anglers in that state. Also, do you think other states will pursue such actions? A: That’s a huge problem that we have been involved with from Day One, and basically I would say we’ve washed our hands of it now. It’s a done deal. I’ll go back to the early days before it even got off the ground. We sent a letter in [to groups out in California] and said do not allow any, any percentage of any bottom given up anywhere, anytime, anyplace. We got criticized … and were told you guys are too hard-core, you’ve got to give them a little. We said no, you don’t give them anything. They said, well they only want 3 to 4 percent, and we’re wiling to give that. We said give no percent. It went from 3 percent to 18 percent, and then it got bigger. And they admitted later on they should have never let them in the door. We were right from Day One, but criticized, unfairly again as usual, for taking a hard-core, non-politically correct position. We were told we need to work with the environmental community. No, we don’t. The original environmentalists are fishermen and hunters and sportsmen. They are the originals. They invented it. I would say in the more liberal states [there are people looking at what California did]. I know Oregon, their governor looked at that and he started something there. They started something in Washington state. Someone tried something here in New Jersey, but that got shot down right away. Now they’re trying to zone Barnegat Bay [in New Jersey]. We’re going to have a rally on that in New Jersey. We’re going to tell Gov. Christie we’re not happy with that whole process. Q: You made an interesting comment about how hunters and fishermen are the original environmentalists. Can you explain that statement? A: If you are a stakeholder — if you are a hunter or a fisherman — what you love and what you care most about is the environment that surrounds you. If you’re a fisherman, it’s the marine environment. If you’re a hunter, it’s the outdoor environment and the animals you pursue. When you take that kind of stake, you take your time and make sure it’s protected and cherished. So we are the original and, I’d say, the only ones because conservation is the wise use of our natural resources. The environmental movement now has become preservation, not conservation. There’s a big difference. With preservation, we’re out of jobs in the industry. Q: What do you see as the future of recreational fishing? A: Right now it’s a situation that I wouldn’t say looks promising for the future. We’ll know better after 2012 when we get rid of Jane Lubchenco and the Obama administration. We need to do that. Whether you’re a Democrat or Republican, if fishing is your thing, or if you’re in the marine industry, we need to get rid of Obama. Four more years of Obama and we’re out of business.